Is Debt Affecting Your Homebuying Power? Debt plays a massive role in determining not only how much house a homebuyer can afford, but if they would qualify for a mortgage in the first place. There are specific preferences unique to each lender and type of loan. 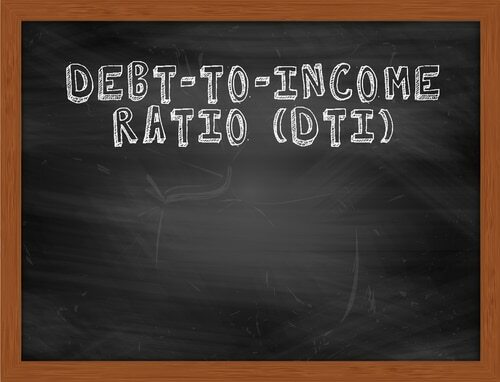 Some banks allow a higher debt amount than others, while some types of loans allow for a higher debt-to-income ratio. What is most important is that a buyer makes sure they are financially healthy to add a mortgage, but also work on paying down debts so that they are more appealing to lenders. NerdWallet defines the front-end ratio as the household rate. In other words, this is a number of household expenses the buyer pays, including the calculated mortgage amount, property tax, insurance, fees, and any other costs directly associated with the monthly payment of the new home. This number is then divided by the monthly gross income of the buyer(s). The back-end ratio is the end-all. This includes other debts that the buyer pays, such as student loans, credit card payments, and personal loans. This adds to the front-end amount and then compares to the gross monthly income. Naturally, the back-end ratio is higher, but that is because all debt obligations are considered. When using a debt calculator to determine the ratio, a buyer must know the type of loan they are getting and the lender they are working with. Every lender is different, but most will follow the standard method, which is based on the kind of loan and the buyer’s debt-to-income total. Conventional Mortgages: This is a loan that is not backed by a government program. A mortgage broker or lender exclusively offers it. Typically, a bank wants the front-end below 28 percent, with the back-end not moving any higher than 36 percent. FHA Loans: FHA loans are those backed by the government, but they allow for a higher DTI than conventional loans. In fact, NerdWallet found that some may go as high as 43 percent on the back-end. VA Loans: This is another government-backed loan by the U.S. Department of Veterans Affairs. However, it is only available for active duty members of the military or retired veterans. According to the VA, any debt-to-income ratio higher than 41 percent is typically not accepted. There are instances where an underwriter will approve a higher ratio, but they must justify such. The Consumer Financial Protection Bureau does state that the 43 percent debt-to-income ratio is still acceptable, and some lenders will go as high as 43 percent on the back-end for a buyer. What about the Debt to Asset Ratio? The debt to asset ratio is an amount assessed by the lender to determine the overall risk. The number measures the mortgage or proposed debt to the total value of the home. This amount will then influence the terms a person is offered for a new mortgage. If the debt to asset ratio is too high, the lender may decide that the home’s loan is not worthy or require a higher down payment to offset the ratio calculation. 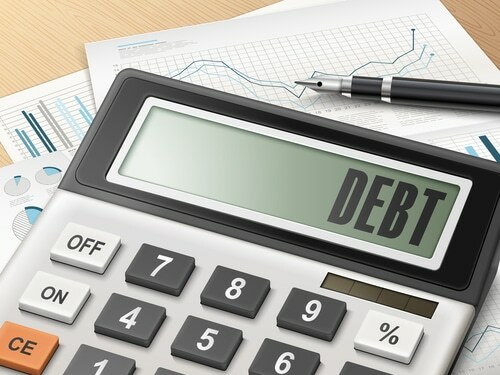 If, however, the debt to equity or debt to the asset is lower than the lender’s maximum value, then they could offer a better rate, favorable loan terms, or faster approval. For example, a bank may prefer a ratio of 60 percent than one pushing 90 percent. Every lender is different when comparing the debt to asset ratio for a new home loan. FHA-guaranteed loans, for example, may permit a higher value than a conventional loan. VA loans could approve a higher asset ratio than a conventional loan, but it depends on the government program the buyer is considering. Now that a buyer knows the definition of debt and how it affects their home purchasing power, they must also realize that other factors influence loan approval. Even a buyer that falls under the thresholds for debt-to-income and debt to asset ratios could be denied a loan. Items like credit history and credit score play a massive role. Government-backed loans, as well as conventional lenders all, have a minimum credit score that they consider “worthy” for a new loan. For example, the VA typically requires a score of at least 620, while conventional loans prefer a buyer with a score of 740 or higher.